Sat, 19 May 2018 10:58 . Hits: 123x. UNUJA.AC.ID- Competition among education institutions in the era of Asian Economic Community (AEC) makes demands on UNUJA to continuously improve its management system. 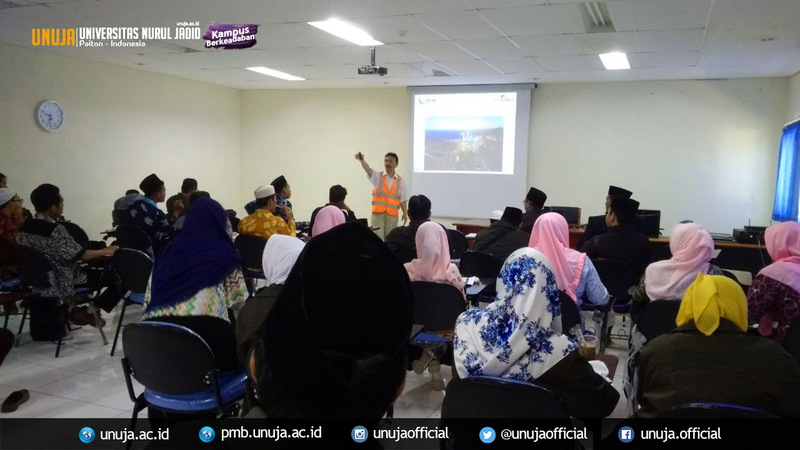 To do this, Islamic Education Management (MPI), one of the UNUJA Postgraduate Programs, attended a lecture on International Organization for Standardization (ISO) management practices in PT. Paiton Operation & Maintenance Indonesia (PT POMI) on Wednesday, May 9, 2018. Mr. Sahala Simanjuntak, the tutor from PT POMI, detailed the importance of standardization in a company and educational institutions in particular. "Standardization begins from quality planning,” said Sahala. PT. POMI, one of UNUJA’s partners in resource development, has implemented ISO management system for many years. For UNUJA, the practice of ISO management system in the company is a prominent reference for its developed human resources. Akmal Mundiri, the head of MPI, acknowledged that the program aims to provide students with a central overview of ISO management implementation and a benchmark for both industrial and educational institutions.